Taking probiotics during pregnancy could reduce the risks of premature birth and pre-eclampsia, a new study finds. When you take that probiotic—but not how much—is what really matters, the researchers found. The study in BMJ Open relied on data from more than 70,000 pregnancies from Norwegian database. One in four moms said they consumed probiotic milk products prior to pregnancy; more than a third did so early in pregnancy, and just under that amount took them later during gestation. Of the 37,050 women included in the pre-eclampsia analysis, it was found in five percent of the women. Taking probiotics, however, was linked to a 20 percent lower risk—but only if taken later during the pregnancy. Of the 34,458 women included in the premature birth analysis, 2858 babies were born early. Those who took probiotics early on had an 11 percent lower risk of premature birth, and a 27 percent risk if they took them later during pregnancy. The researchers say the amount of probiotic consumed didn’t seem to affect the findings. 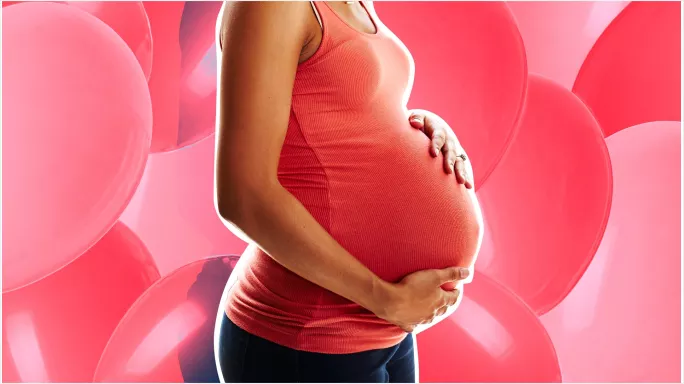 “If future randomized controlled studies support a protective effect of probiotic consumption on reduced risk of pre-eclampsia and preterm delivery, recommending [it] would be a promising public health measure to prevent these adverse pregnancy outcomes,” they said in a statement. Courtney Olson-Chen, M.D., an assistant professor at the University of Rochester, said the limited information in the study means it’s too early to begin recommending probiotics for patients. “We know that the microbial environment plays a role in pregnancy outcomes like preterm labor and even preeclampsia, but there is still an unclear mechanism for how probiotics would decrease the risk of complications,” she said. Nanette Santoro, M.D., who heads up the OB/GYN department at the University of Colorado School of Medicine, said the study raises more questions than it answers. Another possible explanation for the lower risk of birth complications, Santoro said, is that the dairy probiotics had high calcium and vitamin D nutrients. Santoro said that probiotic dairy foods such as yogurt are good to eat while pregnant even if they don’t lower the risk for complications. “The one caveat with dairy consumption in pregnancy is that high-fat dairy foods may not be the best for the mother, so low-fat versions of yogurt are certainly widely available and most everyone can find a brand or flavor they find tasty,” she said.